In relation to the rest of the market, Mazda was a bit behind with introducing Apple CarPlay and Android Auto to its model range, but it’s trying to make up ground. But now, vehicles equipped with Mazda Connect from the 2014 model year and newer are eligible for a dealer-installed upgrade with smartphone integration capabilities. But it’s not a free update. Mazda first introduced Carplay and Android Auto capabilities on the 2018 Mazda 6 and further extended the technology to the 2019 CX-9 and CX-5 utility vehicles. Now the company wants to make the smartphone interfaces available across the lineup. For $199, plus labor costs, owners can buy the upgrade. In addition to the updated Mazda Connect software, Mazda will also update hardware, including more powerful and faster-charging 2.1-amp USB ports. 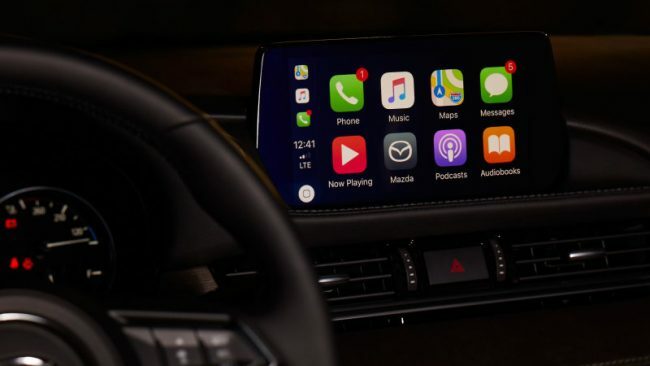 It is important to also remember Mazda’s infotainment screens are not touchscreens, so even with Android Auto or Apple CarPlay, functionality will run through the command knob, buttons, or voice commands. For those interested in the upgrade, it is recommended to schedule an appointment for the upfitting. The service will take approximately two hours.